If you plan to go here! you must book from klook. It is safe a lot of time! 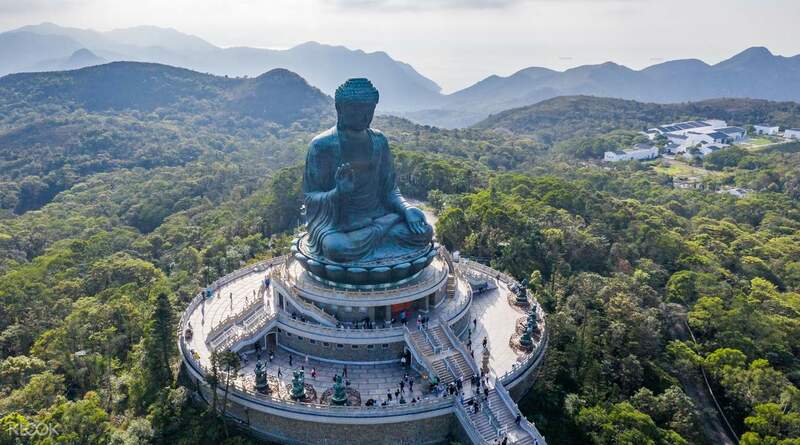 The highlight of this place isbthe majestic bronzed buddha sitting on top of a mountain in the Lantau Island. While you can view the gargantuan buddha at ground level, it is more fun to climb up the stairs of about 15 groups of 15 steps each but be careful to rest once in a while to catch your breath. From atop, you can see a 360 degrees panoramic view. 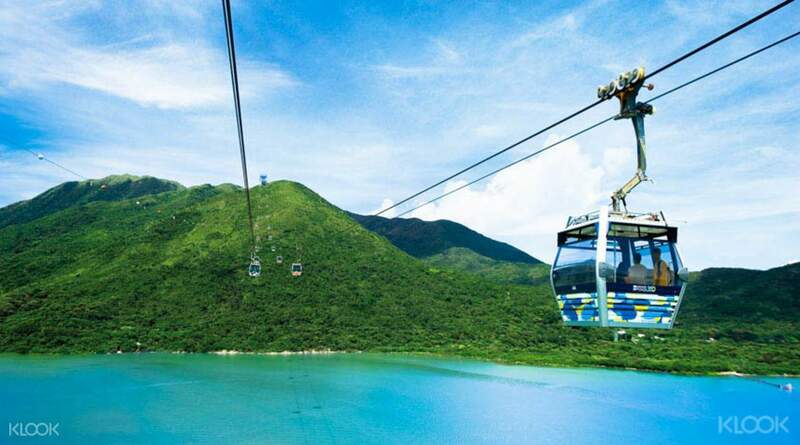 Another highlight is taking the cable car to the Ngong Ping. It is a long ride where you can see the Hongkong airport, the new bridge going to Macau where it disappears from the sea to start the underwater tunnel somewhere in the middle of the sea. We ate lunch at a Japanese restaurant inside Ngong Ping and it was delicious. 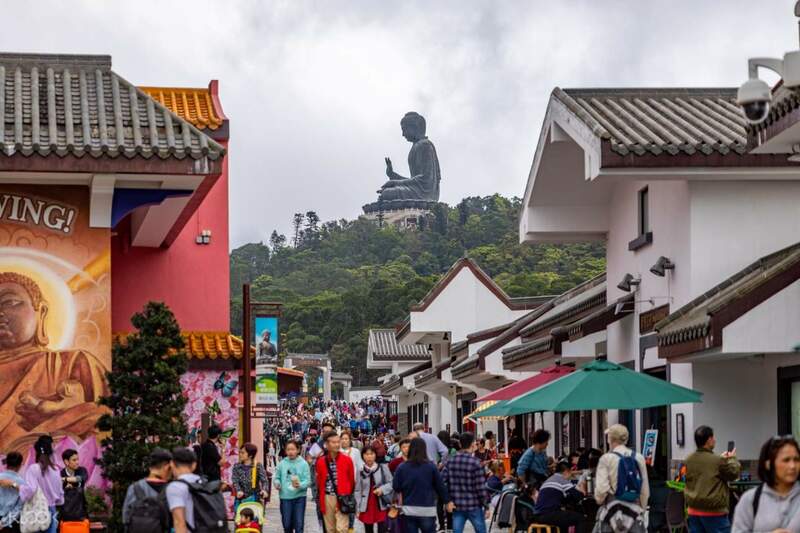 The highlight of this place isbthe majestic bronzed buddha sitting on top of a mountain in the Lantau Island. While you can view the gargantuan buddha at ground level, it is more fun to climb up the stairs of about 15 groups of 15 steps each but be careful to rest once in a while to catch your breath. From atop, you can see a 360 degrees panoramic view. Another highlight is taking the cable car to the Ngong Ping. It is a long ride where you can see the Hongkong airport, the new bridge going to Macau where it disappears from the sea to start the underwater tunnel somewhere in the middle of the sea. We ate lunch at a Japanese restaurant inside Ngong Ping and it was delicious. Really convenience to use. We bought this ticket on the same day we ride the cable car. There is dedicated line at ticket counter for Klook user, just show your voucher at the counter, they give you another ticket and you are good to go. The activity was fun, you can see HK Airport and new road that connecting HK and Macau while you are in the cable car. Really convenience to use. We bought this ticket on the same day we ride the cable car. 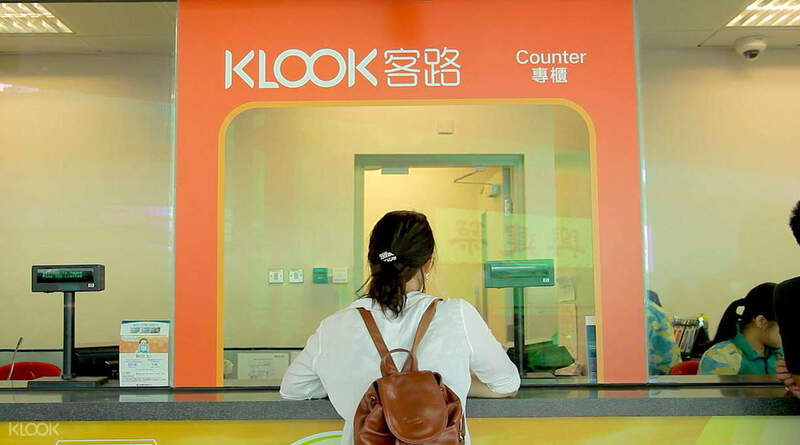 There is dedicated line at ticket counter for Klook user, just show your voucher at the counter, they give you another ticket and you are good to go. The activity was fun, you can see HK Airport and new road that connecting HK and Macau while you are in the cable car. A bit scary when to windy. But we have a great experience riding this cable car to tian tan buddha. Very beautiful and abit scary when is to windy. Easy to get the tickets but have to wait for long queue for standard cabin. It will be easy if riding the crystal cabin because no need to line up very long queue. Crystal cabin can save more time and energy. A bit scary when to windy. But we have a great experience riding this cable car to tian tan buddha. Very beautiful and abit scary when is to windy. Easy to get the tickets but have to wait for long queue for standard cabin. 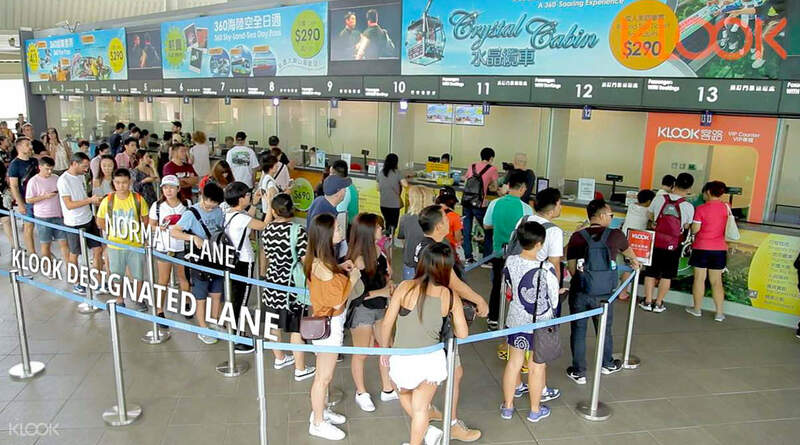 It will be easy if riding the crystal cabin because no need to line up very long queue. Crystal cabin can save more time and energy. Great views, so much to see, 25 minute ride gives you plenty of time to enjoy it. We took the bus up from the ferry and cable car back down to Tung Chung. Bought the ticket through the app whilst at the ticket kiosk and had no trouble redeeming. Be advised the “freebies” advertised as being included (Big Buddha and Po Lin Monastery) you don’t have to pay for anyway The advertised designated Klook lane (to help skip the queue) must only be at the lower station as we had to wait in the regular queue. All in all, a good day out, and great way to save a few $ Look out for the feral cattle! Great views, so much to see, 25 minute ride gives you plenty of time to enjoy it. We took the bus up from the ferry and cable car back down to Tung Chung. Bought the ticket through the app whilst at the ticket kiosk and had no trouble redeeming. Be advised the “freebies” advertised as being included (Big Buddha and Po Lin Monastery) you don’t have to pay for anyway The advertised designated Klook lane (to help skip the queue) must only be at the lower station as we had to wait in the regular queue. All in all, a good day out, and great way to save a few $ Look out for the feral cattle!